If interested in riding the river and its waves this summer (like we are! 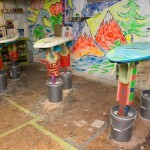 ), check out Strongwater Surf Co.’s rental options and lesson packages at StrongwaterMTNSurf.com or 614 S. Higgins Ave.
Building custom surfboards might seem like an odd business in a landlocked mountain town, but Kevin “K.B.” Benhart Brown and Luke Rieker are riding high after founding Strongwater Surf Co. seven years ago on Missoula’s Hip Strip. 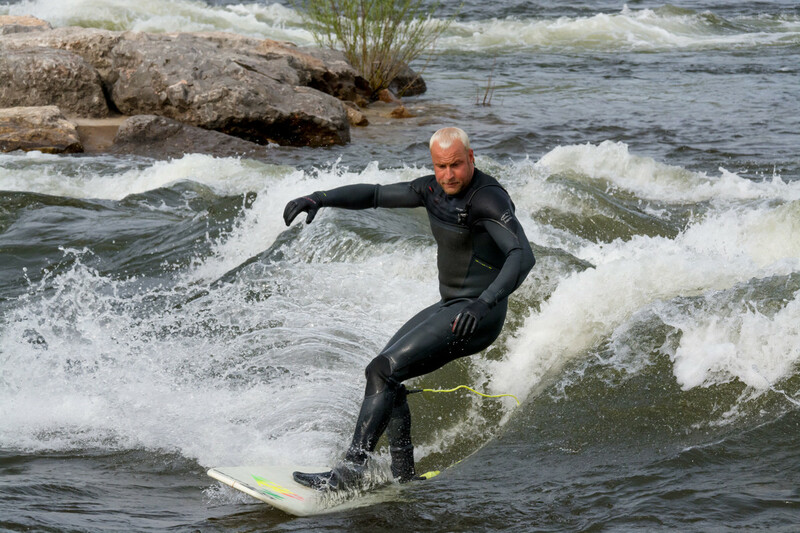 A glance at Brennan’s Wave on a hot summer day proves why: Surfing is all the rage on the Clark Fork River downtown. While kayakers used to dominate the human-engineered wave, surfers currently rule the roost. People line up on the rocks below Caras Park with boards of all shapes and sizes, waiting for their turn to jump into the whitewater. 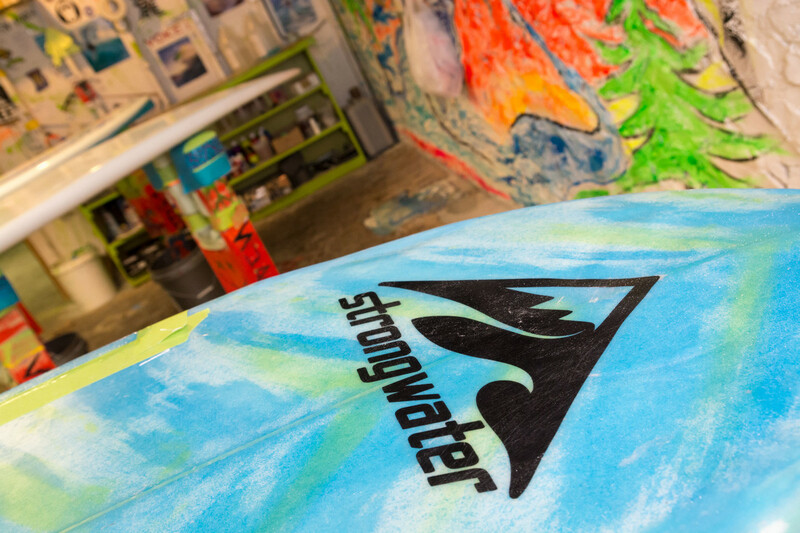 Originally opened as a whitewater kayak shop after Brennan’s Wave opened in 2006, Strongwater has since evolved into a premier surf shop. 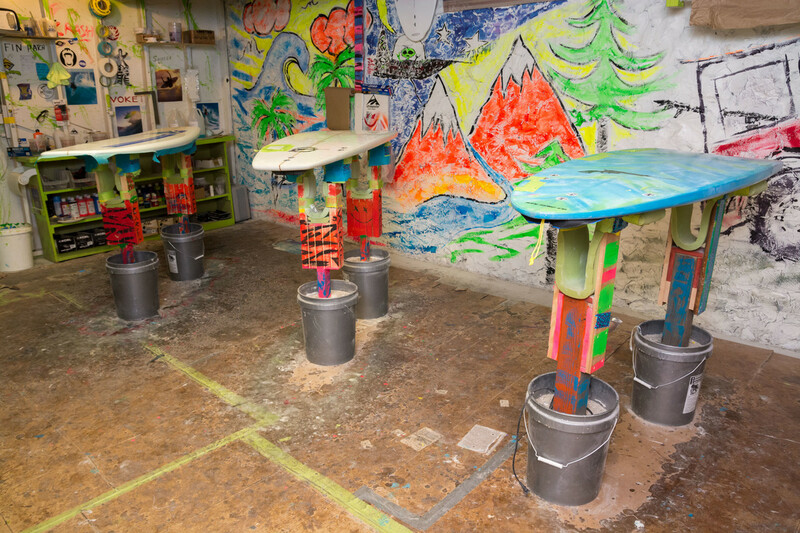 It’s the go-to place for Missoulians looking to “surf all the elements.” Strongwater fosters what they call the “mountain surf culture” by 1) designing custom boards, 2) teaching people how to use surfboards, stand-up paddleboards, and powder boards, and 3) renting and selling surf-related gear. “It’s all connected: The snow melts into the rivers, and the rivers go to the sea. 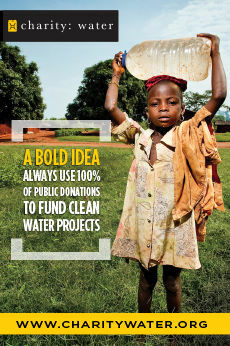 We help people surf all of it,” explains Brown. 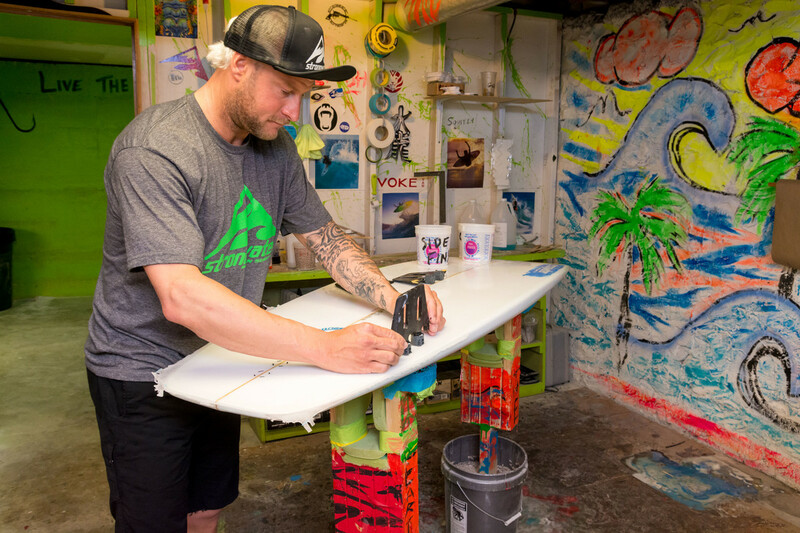 Rieker and Brown are internationally known for producing cutting-edge river surfboards that are taking this sport to the next level. 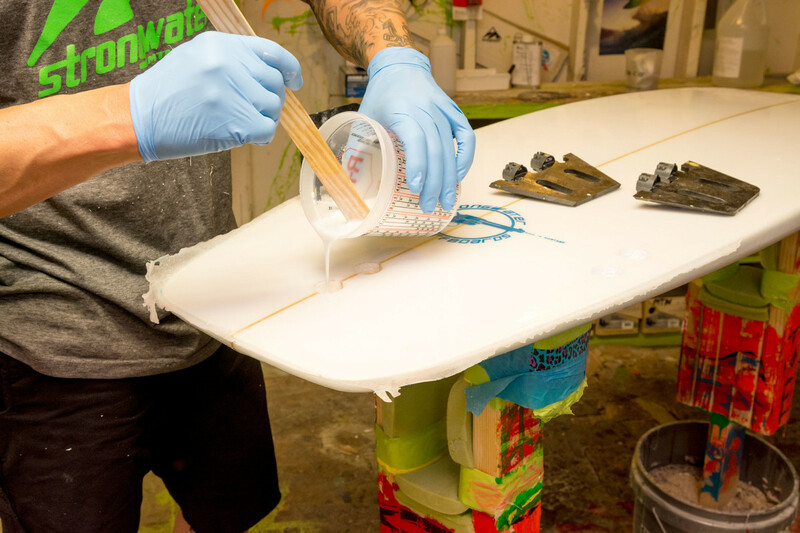 Orders for their custom boards come from surfers all over the nation, though the biggest demand comes from Montana, Idaho and Colorado. The sport is even starting to gain popularity on the East Coast, and is getting “big-time” in Germany, Norway and Sweden, according to the owners. “We understand how the water works with our background in kayaking,” says Brown. 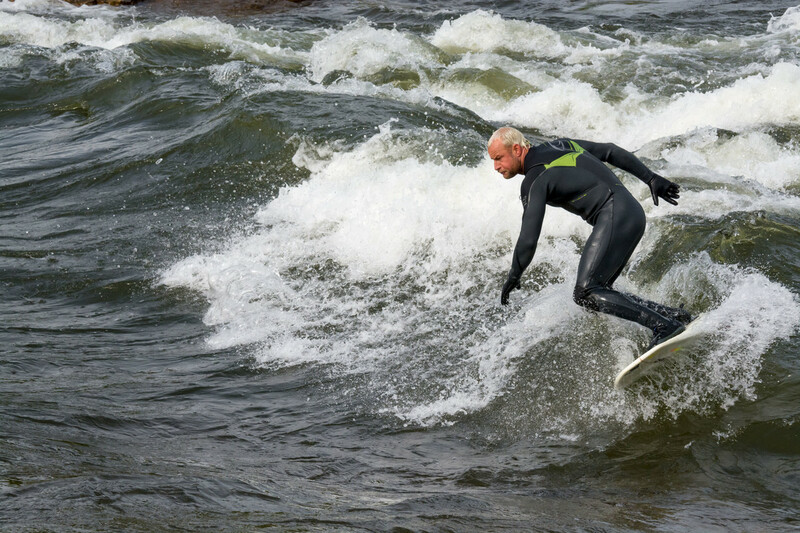 Essentially, the river requires something more buoyant than an ocean board, to help surfers stay up longer in denser freshwater rather than getting sucked off the wave. 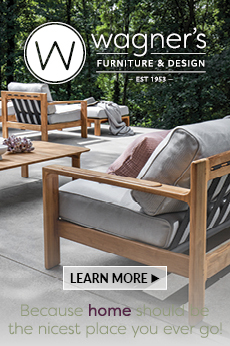 Strongwater’s river boards are short and thick, with a wider tail than those on ocean boards. This “new” river sport isn’t quite as novel as it may seem. 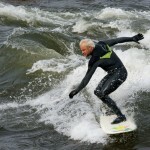 Brown recently found a river surfing commercial from 1986, although he acknowledges that the sport used to be a side hobby of die-hard ocean surfers looking for a new challenge. 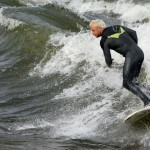 Today’s river surfers run the gamut from professional shredders to novices who have never touched a water craft. 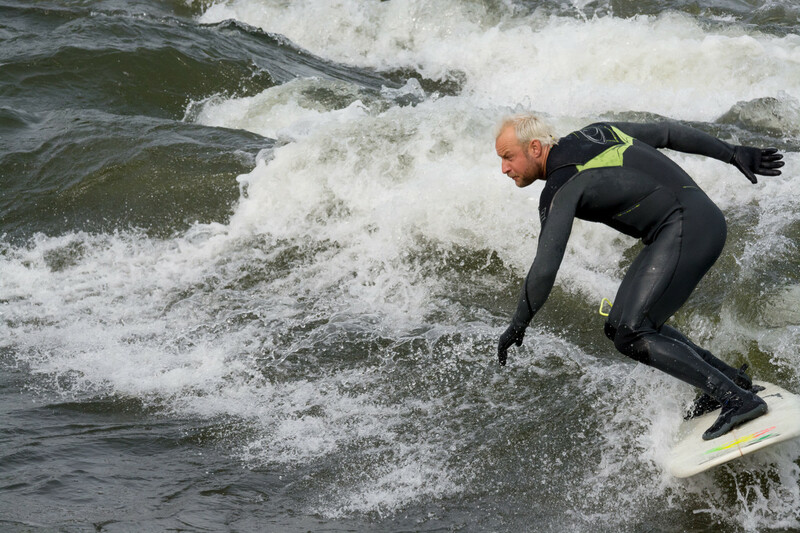 Strongwater also designs unique wooden powder boards to keep surfers occupied in the mountains when the river is frozen. These minimalistic boards float lightly through the snow, carrying riders downhill without bindings. But the true love of Strongwater’s owners is river surfing. The duo credit the popularity of stand-up paddleboards (SUPs) with paving the way for river surfing. 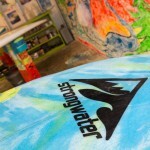 In fact, SUP lessons and rentals are an important part of Strongwater’s summer business. “Both SUPs and surfboards are more inviting than kayaking since a lot of people don’t like the idea of being strapped into a boat,” says Brown. Kayaking requires learning several technical moves before surfing waves, including a tough-to-master roll. 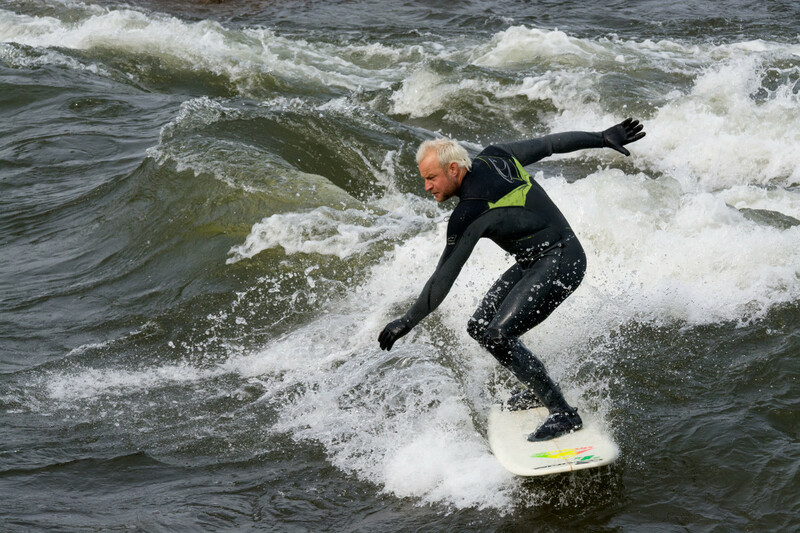 But with surfing, Brown points out, “You can literally go to the river and try to surf the very first day.” It’s a sport accessible to anyone who doesn’t mind getting wet. That doesn’t mean first-timers will catch a wave, however. While the pros make it look effortless gracefully gliding across a wave, the finer points of river surfing are quite challenging. 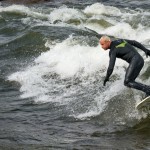 Luckily, the more you go the better you get, and Missoula is in a prime location for catching plenty of waves. “What’s cool about Missoula is that we have a dozen awesome waves to surf year-round,” says Rieker. A local favorite is Pipeline, a dynamic wave on the Lochsa River a couple of hours west of Missoula in Idaho. Another top choice for both Rieker and Brown is Sarah’s Wave in the nearby Alberton Gorge on the Clark Fork River. Most of Strongwater’s business, though, still relies on Missoula’s downtown river icon, Brennan’s Wave.